 A reliable source for Contract Packaging information and a resource for accessing leading Contract Packaging and suppliers. 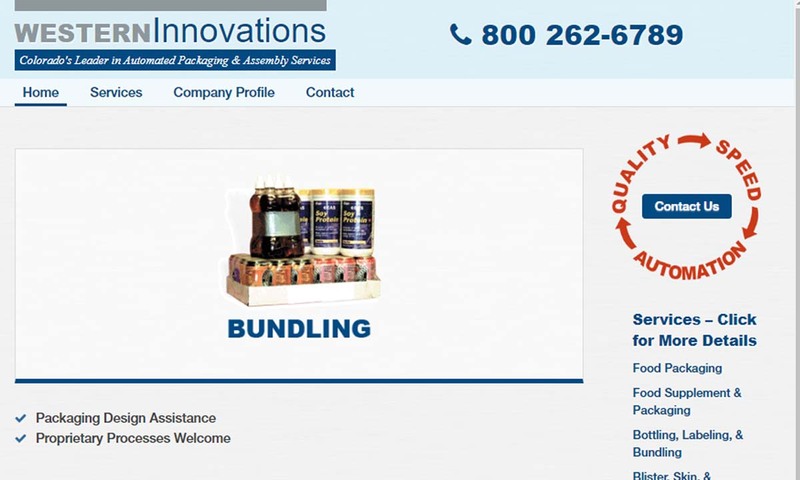 Contract packaging companies, or contract packing companies, specialize in cost effective packaging solutions. While packaging is essential, many manufacturing companies are not equipped to handle their packaging needs on their own. Those companies not prepared to package their goods turn to contract packaging companies to fulfill their needs. Contract Packaging Contract packaging companies, or contract packing companies, specialize in cost effective packaging solutions. While packaging is essential, many manufacturing companies are not equipped to handle their packaging needs on their own. Those companies not prepared to package their goods turn to contract packaging companies to fulfill their needs. We work very closely with our clients to ensure the best possible products at the lowest possible prices. We are committed to bringing exceptional customer service to our clients while providing innovative and well designed products to suit your needs. With our longstanding history of being at the top of the market we are committed to bringing our customers only the best in quality, service and reliability. 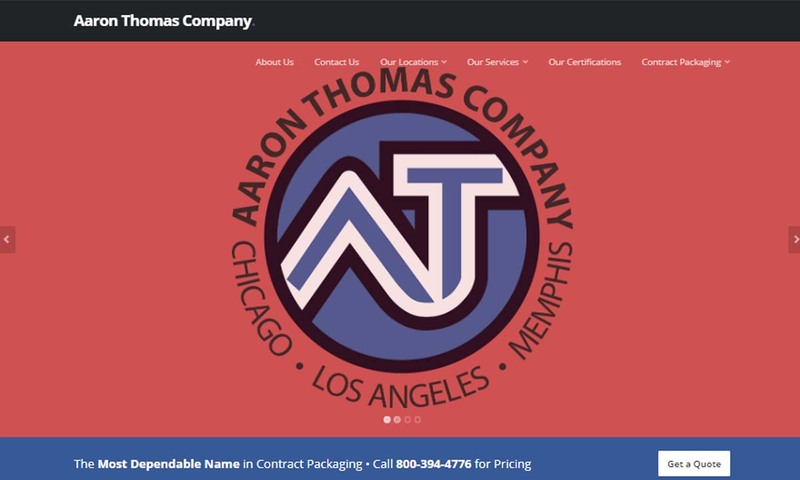 The Aaron Thomas Company is an award winning supplier of quality contract packaging benefits. Aaron Thomas’ high speed automated capabilities allow you to bring your inventory to market in less time and with higher quality. With our commitment to customer service we have made it our mission to provide the latest and greatest in contract packaging technology. We pride ourselves in providing a business that believes in equal opportunities for all. Contract packaging of shelf stable food & non-food products. Organic and A.I.B. GMP Certified. Food supplement pouched sets, capsule & tablet blister-form fill, bottling, organic encapsulation, vertical & horizontal flow wrapping, and more. Just a few of the typical packaging products created during contract packaging include: blister packaging, clamshell packaging, pouches, food packaging, shrink wrap, cartons, wrapping and more. Packaging solutions, including those mentioned above, can be divided into three main categories: primary, secondary, and tertiary. Some companies may need all three forms of packaging for their product, while others may need only one or a combination of two. Primary packaging is the packaging that makes direct or close contact with the product. Sometimes the product has extra packaging around it, or the package itself is the only primary packaging. For instance, if you put a food product in a jar, the jar is the primary packaging because it comes in close contact to the food. Secondary packaging refers to layers of primary packaging that are used together to provide extra protection to the product inside. Cardboard, foam, and paper are all forms of secondary packaging. Returning to the jar example, if you put several jars of food into one box, the box the secondary packaging. Tertiary packaging is what companies use when they are handling materials in bulk, for shipping and storage in warehouses. Tertiary packaging examples include wooden pallets and shrink wrap. Let’s take a final look at that jar example. Once the jars are in boxes, you may shrink wrap them together. The shrink wrap is the tertiary packaging. In addition, if you store the boxes on a warehouse pallet, you may also consider the pallet tertiary packaging. 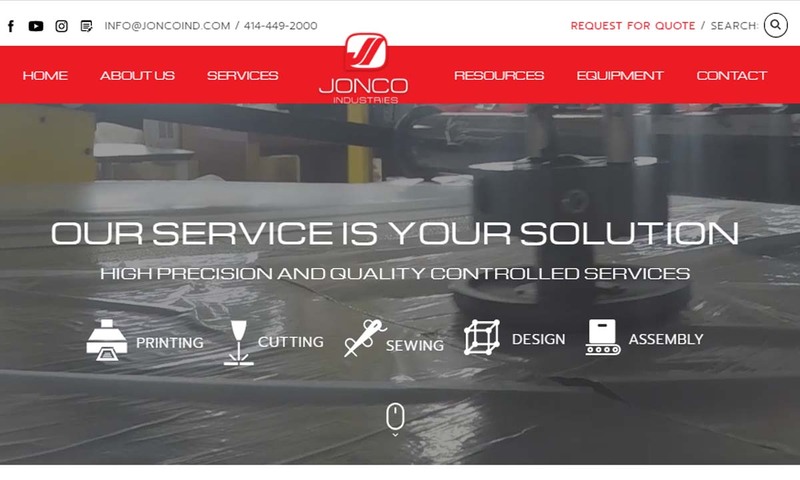 Contract Packaging – Jonco Industries, Inc.
It’s true that since the advent of bartering and the exchange of goods, packaging has been around in some form or another. However, packaging as we know it today, which is dominated by plastics, did not fully develop until the late 1900s. Early modern packaging relied on the use of tinplate, a process called tinning. This use of tinplate for packaging began in Bohemia (part of the modern day Czech Republic). English engineer Andrew Yarranton brought it over to England in 1667. By 1725, merchants were selling tinplate boxes from ports in Bristol Channel. By 1805, British manufacturers had made around 80,000 tinplate’s and exported 50,000. In the early 1800s, French inventor Nicholas Appert discovered the importance of using airtight containers to preserve food. In response, in 1810, Peter Durand patented the process of canning. Two years later, he sold his patent, and the purchasers opened the world’s first canning factory in London. The first corrugated box was commercially produced in England in 1817, though corrugated paper did not receive a patent until 1856. Towards the end of the 1800s, paper-based packaging rose in popularity. In 1890, Scottish-American Robert Gair invented pre-cut paperboard. Some of the greatest motivators of packaging innovation in the 1900s stemmed from the many wars. During World War II, for example, manufacturers had to figure out better ways to get food rations and weapons to the military overseas. Not only that, they had to invent packaging methods that would keep the commodities both safe and secure and easy to access when needed. As a result of packaging difficulties in World War II, the U.S. established packaging-related mil-spec regulations. There is no inventor of contract manufacturing. Rather, it is a practice that slowly developed over time. For example, in 1952, Michigan State University began offering the first ever Packaging Engineering degree. Just five years later, they opened the MSU School of Packaging. Since the 1980s, contract packaging companies have focused on creating packaging from post-consumer recycled materials, such as aluminum and paper. They’ve done so in response to government regulations and the influence of the public, which participates through curbside recycling and the like. In 1992, contract manufacturers in the United States came together to form the Contract Packaging Association (CPA). The formation of this national non-profit trade organization solidified the place of contract packaging in the industrial world. Since 2008, the contract industry has doubled in size, confirming its status. Before doing anything else, packaging providers must select the right material with which to make the packaging. Some of the most popular packaging materials are plastics, which are generally lightweight and durable. Commonly used plastics include: HDPE, LDPE and PET. HDPE is a sturdy plastic typically used to make primary packaging like bottles and food storage containers. HDPE is corrosion resistant, chemical resistant, strong, resistant to fairly high temperatures and recyclable. LDPE is a thermoplastic similar to HDPE. Used for primary and secondary product packaging (ex. juice cartons, milk cartons, plastic wrap), LDPE tends to be flexible and corrosion resistant. It is also recyclable, though it is not recycled as often as it should be. Known more commonly as polyester, PET, or PETE, is another sturdy thermoplastic. It is used quite frequently for primary and secondary packaging (ex. bottles, flexible food packaging). Manufacturers also frequently use paperboard and fiberboard for primary and secondary packaging. Sometimes, they use glass, as well as metals like: aluminum and aluminum foil. Paperboard, also known as cardboard, is a thick paper-based material. Lightweight, strong and easy to cut, paperboard is often made into cartons and boxes. These paperboard products may serve as either primary or secondary packaging, depending on the application. The term “fiberboard” generally refers to a wood product made from wood fibers. Sometimes in packaging, though, it also refers to corrugated fiberboard for boxes. Corrugated fiberboard is a paperboard product. Either way. Fiberboard is strong, rigid and resistant to tears, bending, crushing, impact, etc. In packaging, fiberboard is used for secondary packaging. Glass is a non-crystalline amorphous solid. It is transparent and available in a wide range of thicknesses, refraction indexes, impact resistance levels, tensile strengths, etc. Also, it can be modified to be more or less chemical and corrosion resistant. Generally speaking though, it is very inert. In contract packaging, glass is used to create primary packaging products like glass jars and glass bottles. Aluminum is an element and non-ferrous metal, known to be leak resistant, corrosion resistant and good retainer of both cold and heat. In packaging, it is mostly used to make aluminum foil, cans and containers. Aluminum foil, made from aluminum, is a form of primary packaging. It helps keep food and other goods safe by shielding them from outside elements. Such elements include moisture, sunlight, dirt and other contaminants. Contract packaging services begin with package classification. Service providers analyze whether their clients need primary, secondary or tertiary packaging services. Then, service providers identify and take into account several different application requirements/specifications. These include: marketing, shelf life, quality assurance, packaging regulations, labeling and graphic design, application environment, end-use, child safety regulations, packaging job volume, budget and timelines. Using these considerations, they make decisions on details like: packaging material, packaging design, packaging size, labels, etc. Often, they design the packaging using CAD, document automation and/or rapid prototyping. Once they’ve decided on the details, they begin packaging the product. Common packaging processes include: plastic molding, heat sealing and vacuum sealing. 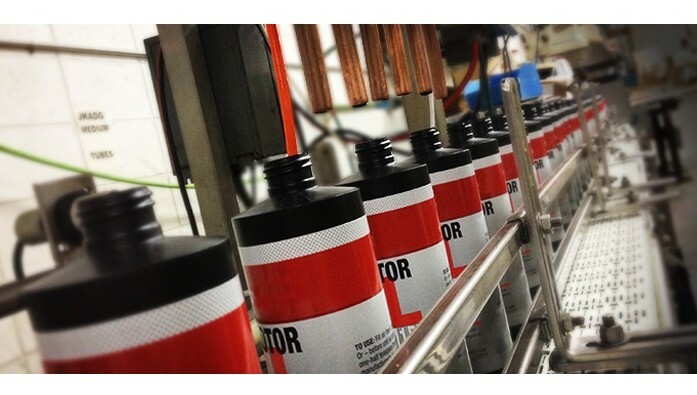 After completing the initial packaging processes, contract packagers go on to customization. 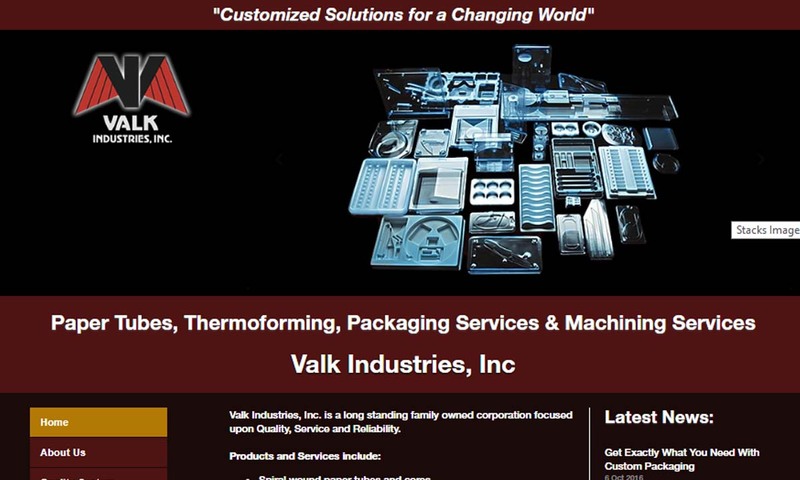 Typical customization services include labeling and graphic design. Many contract packagers have in-house graphic design services so that they can design attractive labels for the product to make it more appealing to customers. To create the best designs for you, contract packagers will take into consideration factors such as: cost, usability, material and aesthetics. One of the most important steps in manufacturing is the packaging of a product. The packaging must be secure, especially during shipping. Specialized products like medical devices or pharmaceuticals must have packaging that meets industry standards and regulations. Most companies request custom packaging design from their contract packager so that their packaging is suited to the needs of their product and customers. Most contract packaging operations provide their customers with innovative product storage and shipping solutions. They can store the product in bulk, package it, label it with the appropriate information, and ship the packaged product to retail outlets. In order to correctly package products and commodities, contract packagers can use a wide variety of different machines and tools. Common ones include: plastic molding equipment, heat seal automated machines form-fill-seal machines, vacuum packaging machinery and label dispensers. Contract packaging companies use plastic molding equipment to make a variety of primary and secondary packaging (ex. food packaging, blister packaging, pharmaceutical pill packaging, electronic packaging, medical device packaging, etc.) All molding machines, including blow molding machines and plastic injection molding machines, can be adjusted for more size differences, thickness changes, indentations, etc. Heat sealers seal thermoplastics via the direct application of pressure and heat. Heat sealers are used in: clamshell assembly service, shrink wrapping, food packaging and pharmaceutical packaging. They can be modified for different degrees of sealing. Form-fill-seal machines take a flat or v-fold material, form it into a container/bag, then fill and seal it. 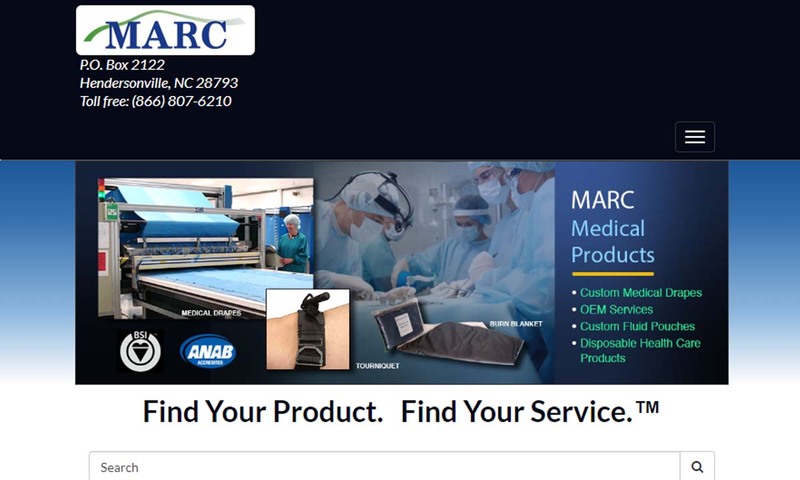 They usually work on conveyor belts and assembly lines, where they can be adjusted for sterilization purposes, different container types (by adjusting sealing/seaming methods), vertical loading, liquids, solids and more. Vacuum packaging machinery removes atmospheric oxygen from a package, then seals it. The seal is watertight. This packaging machinery is most often used to seal industrial parts, food and electronics like cameras. Like all packaging equipment, vacuum packaging machinery can be customized for your application needs. Label dispensers provide information like: pricing, usage guidance, shipping instructions, tampering evidence, product identification and barcoding. Your service providers can adjust it for high industrial loads or small business purposes. Contract packaging services are virtually the same as fulfillment services. A fulfillment business goes beyond packaging to offer full turn-key services and supply chain services, like: shipment, returns, and customer inquiries. Packaging and fulfillment services can be used to help manage your inventory and store extra products. This is important because many companies have limited production and storage space in their own facilities. Contract packaging offers many benefits. First, contract packaging service providers have more time to dedicate to shipping, so they can transport goods more efficiently and cost-effectively than others. Likewise, fulfillment services are well equipped to deal with returns that could be complex and time consuming for many companies. Both can also provide you with custom packaging, colorfully designed labels and unique shapes that make your branded product stand out. Another benefit of contract packaging companies is that they are experts in packaging regulations. They know how to package products in a way that meets FDA or Agriculture standards. From medical items to food products, the lack of appropriate packaging can cause huge delays and financial setbacks. A skilled contract packaging team can avoid these issues and use things like child-safe caps to protect your company from fines or lawsuits. For a safely packaged product and/or an expertly branded product, you need to work with an experienced service provider. More than that, you need to work with a contract packaging company that has the vision and drive to provide you with the best work possible. To find a talented and motivated company like this, we recommend you take a look at the list of providers we’ve placed on this page. All of those with whom we partner have proven themselves time and time again in the field. To discern between them, browse their profiles and websites. Pick out three or four to whom you’d like to speak directly, then reach out to individually with your specifications. Make sure they can provide the services you require within your timeframe and budget. Compare and contrast their responses and, when you’re ready, reach out again and get started. Good luck!